I have to admit, Bangkok wasn’t love at first sight. If you would have asked me how I felt about Bangkok during our first couple of days in the city, my opinion would’ve been harsher. I also have to admit that Bangkok did finally win us over, and it probably did so plate by plate. This city is hectic and vibrant, contrasty, and chaotic. Some parts are dirty, and sometimes smelly. But the energy and the life you find in the streets, along with the city's delicious food, will end up captivating you. During our month traveling through Thailand, we ended up in Bangkok 3 times. It was our first contact with Asia as backpackers, and it proved to be a challenging way to start. We had to contend with somewhat of a cultural shock, figure out the backpacker lifestyle, and try to catch up with our self-appointed work at the same time – all while exploring a city that casually greets you at a constant 100ºF most of the time. Before we start, one thing that's important to mention: we decided to skip the some of the overly touristy and pricey places because we’re not really tourists at this point. So, we explored Bangkok our own way. After all, traveling is not all about scratching off a “to-do” list anymore. Instead, we spent a lot of time scoping new foods to eat, meeting new people from around the world, working, and getting lost in the city (literally). 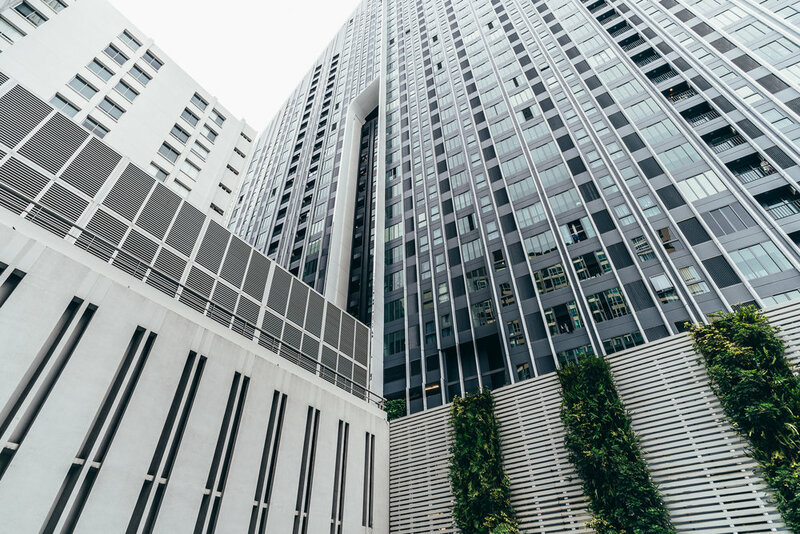 Read on to know more about the places to stay at in Bangkok, how we think you should move around the city, the places we visited/things we did, and lastly, the food that we ate. 1. To minimize our expenses and live our first real experience as backpackers, we stayed at a hostel our first week. Shared bathrooms, a shared common area, 16 people per room sharing tiny lockers that immediately required us to put these to use, etc. We wouldn’t recommend this particular hostel because we didn’t love it, but we can tell from you first-hand experience and research that it is possible to find good accommodation from between $8-$15 a night for 2 people, ranging from dorms to private rooms. 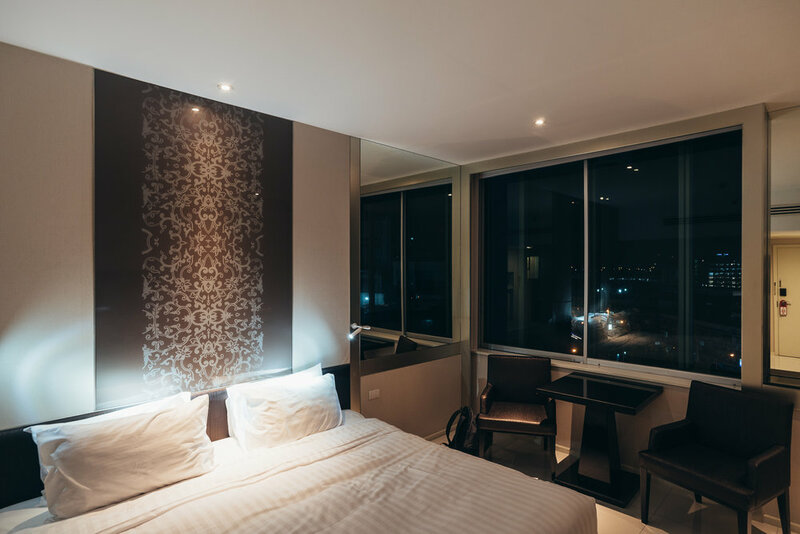 We will be updating this article in the future when we stay at a hostel/guesthouse in Bangkok that we truly like. Nevertheless, the hostel was located at Silom, just next to a pier, which allowed us to move up and down the city by boat. The other thing it allowed us to do was meet people – tons of people. In fact, we met more travelers during our week at the hostel than the last three weeks combined. 2. 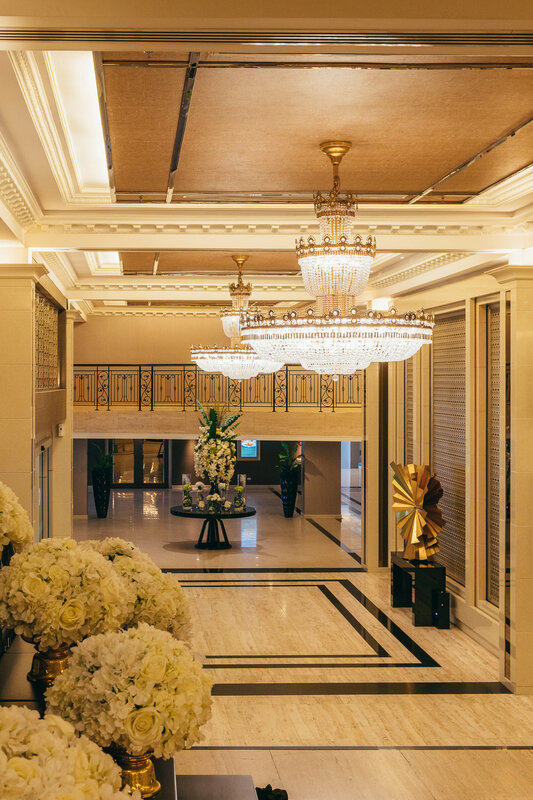 The second time we visited Bangkok, we were hosted by the Mandarin Hotel Bangkok, a fantastic hotel with beautiful decorations located at Silom. This hotel has its own state-of-the-art, fully equipped gym, a 125-meter swimming pool surrounded by lounge chairs, and a spa for ultimate relaxation. This is perfect for those of you that want comfort when you come back in from the city and its sweltering heat. Plus, the price is reasonable, with rooms starting at about $60 a night! 3. 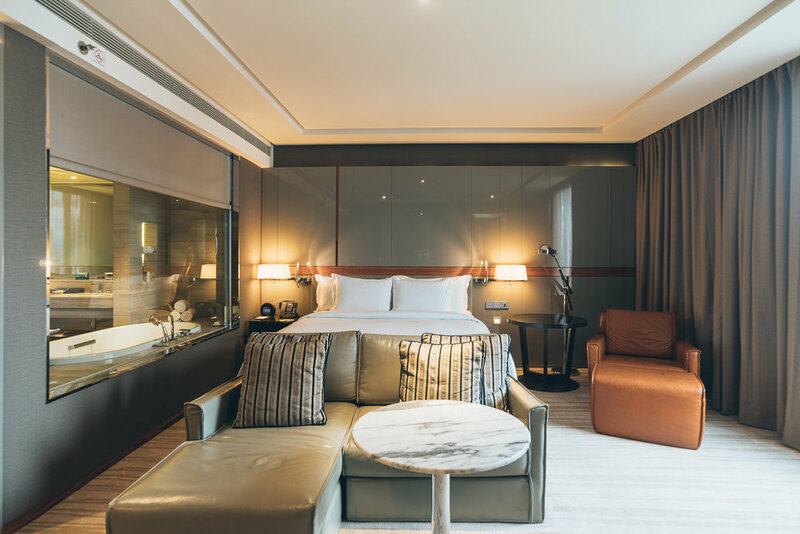 The third time we visited Bangkok, we were very fortunate to collaborate with Hilton Sukhumvit Bangkok. We’d recommend this place to anyone; it was a wonderful experience from start to finish. It is located in the heart of Sukhumvit, and has everything from a rooftop pool, bar, and gym (26 floors up! ), to two renowned restaurants down below that serve breakfast, lunch, and dinner. We stayed in an executive suite that gave us access to an executive lounge that hosts breakfast and cocktail/tea time every day (our favorite!). Rooms are from about $115 per night and are as luxurious as it gets. Train: The BTS (skytrain) and the MRT (subway) are the fastest ways to move around Bangkok. The price varies depending on where you’re going, but we paid around 40 baht ($1.15) per person for 10 stops, for example. Boat: If you’re close to the river like we were our first week, this is one of the best (and cheapest) ways to go up and down the city or just to cross from one side to the other. Tip: Make sure you ask for the “Orange Line,” which goes up and down Bangkok for 15 baht ($0.44). They will try to charge you much more, but if you know what you’re looking for, they won't insist too much. They also offer small boats that cross the river for around 4-6 baht. Tuk tuk: These pseudo-taxis consist of a motorcycle attached to a metal cart with seats and lights hanging off the top. The price is not fixed and what you pay depends on your bargaining abilities. (And if they’re not very good, you typically have an infinite number of attempts, as there are tuk tuks everywhere!) We used “tuk tuks” in the old city where the train wasn’t available and we paid a total of between 60 baht ($1.75) and 120 baht ($3.50) for rides from 10 min to 30-40 min. Tip: If you do use an actual taxi, always request the taxi meter. If not, they will charge you at least double (if you’re lucky), and you won’t even know it. 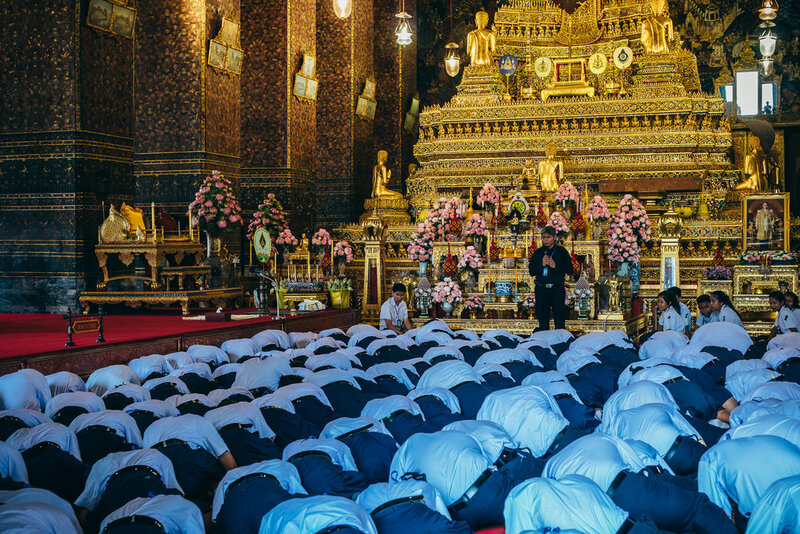 Temples: Early on, we decided to skip some places, and one of them was the most popular temple in Bangkok – The Grand Palace. It’s really expensive for Thai standards. The current price is 500 baht per person (about $15 per person), which for most tourists is nothing. For us, however, it's 3 nights of accomodation in our first hostel, or an entire day of eating delicious street food throughout the city. Also, it’s one of the most crowded places in the entire city throughout most of the day, which would’ve made the visit both uncomfortable and incredibly hot. 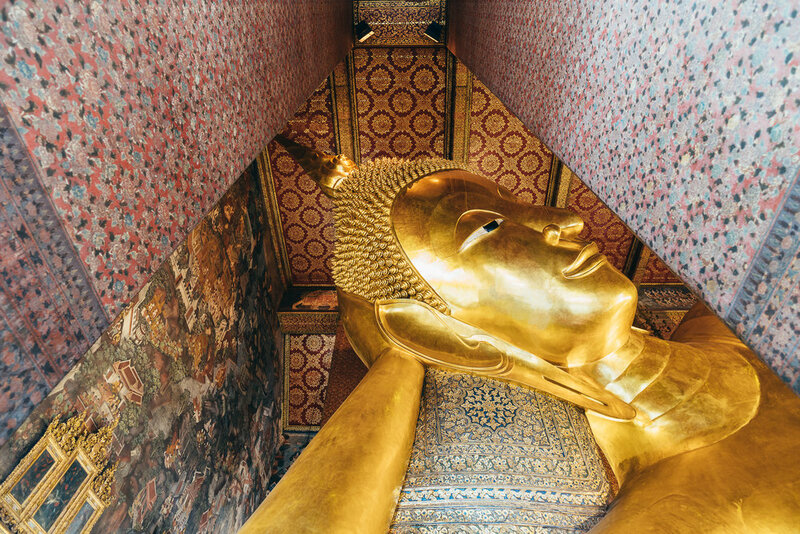 This doesn’t mean that you shouldn’t visit The Grand Palace, but that you can experience Bangkok without having to visit its most known attractions. Tip: Remember to go covered! Your clothes should cover you at least past your knees and your shoulders. If not, you will have to buy or rent a sarong, which in some cases will cost you more than the entrance to the temple. Night Markets: We visited two of the most known night markets in Bangkok, the Rod Fai Market and the JJ Green Market. If we could only have gone to one night market, it definitely would have been the Rod Fai Market. When we got there, we saw approximately 60-70 tents, which seemed large enough to us. Then we walked a little further inwards. That’s all it took for us to discover maybe a couple of hundred (if not more) tents and locales with an infinite selection of food and goods to buy. We spent around 3 hours at the Rod Fai Market, and we would have happily stayed another 3 hours. We didn't buy anything that wasn’t food that night, but we went through all of the stalls possible and ate at least twice that night. Along with the infinite assortment of food and goods, handmade or mass-produced, if you venture towards the back, you can also find a number of sheds with several vintage products – from posters to vehicles. Our “local research” (bargaining with 10 tuk tuks in a row) led us to discover that there is more than one Rod Fai Market, so make sure you go to the right one – the Srinakarin Train Market. This market is open from Thursday to Sunday. The second night market we went to was the JJ Green Market. This one was much smaller than Rod Fai, but still very expansive. What we noticed was that the food selection was more limited by comparison, and that the whole market was more focused on selling clothes and goods. This market also had its own small section with vintage objects. The JJ Green Market is open during the weekends and is located at Chatuchak Park, close to the Mo Chit BTS train station, making it convenient and easy to get to. Chinatown: Visiting Chinatown was a fun, short-lived adventure. Unfortunately we went on a Monday and it was almost empty. Still, we were able to see one of their most popular seafood spots in action, and the distinct differences in lighting and people. This was taken on top of the tallest platform we could find on the street using this tiny tripod. Khao San Road: This is backpacker central, most known for its never-ending supply of backpackers and tourists, which is due to the inexpensive hostels in the area. On our first stay in Bangkok, we only passed by this street during the day. But on our second stay, we needed to be close to the train station that was taking us to Kanchanaburi the following day. Coincidentally, it was close to Khao San Road and all its festivities – so of course we visited it before leaving, on a Friday night to be exact. In any case, if you want to party in Thailand with mostly westerners and a western vibe, then this is a place you want to visit. To contrast this, we went to Rambuttri street (right next to the Khao San Road), which also has restaurants and clubs, but with more of a relaxed vibe. We ate here at a local Thai restaurant and found the prices to be much more normal. Snake Farm: Right behind the Thai Red Cross where we got vaccinated is the Snake Farm. Namely, it’s an educational center where you can find all kind of snakes, their history, biology, and information showing how few venomous snakes there are and how to handle the rare situation of having been bitten. Depending on when you visit, you can also catch their daily shows. There’s one at 11 AM for venom extraction (which is the one that we went to, available during weekdays) and another at 2:30 PM for snake handling, where the staff shows you different kinds of snake species. Massages: You cannot go to Bangkok and not try the Thai massage. In our case, we only got one Thai massage during our entire stay in Thailand. The main reason for this was simple: we had a strict budget, and in the battle between food and massages, food always wins. We went to a massage center that a couple of new backpacker friends recommended we try: Perception Blind Massage. This locale offers different kinds of massages that are all given by blind or visually impaired therapists – it's definitely worth a visit! The truly great thing about this city is that it is possible to try all kind of different foods for very modest prices. So, given that it was within our budget, Bangkok is where we discovered one of the best pleasures of Thai culture – their gastronomy. Spring rolls (the fancy version). Normally we bought them at any stall we could find them. Delicious coconut ice cream. I used not to like coconuts... that was before Thailand. On this day, we ate 3 of these. Best for last: Mango sticky rice with coconut milk. The only thing we regret is not having discovered this earlier on our trip! Bangkok is certainly not a place you visit to cross off a list. 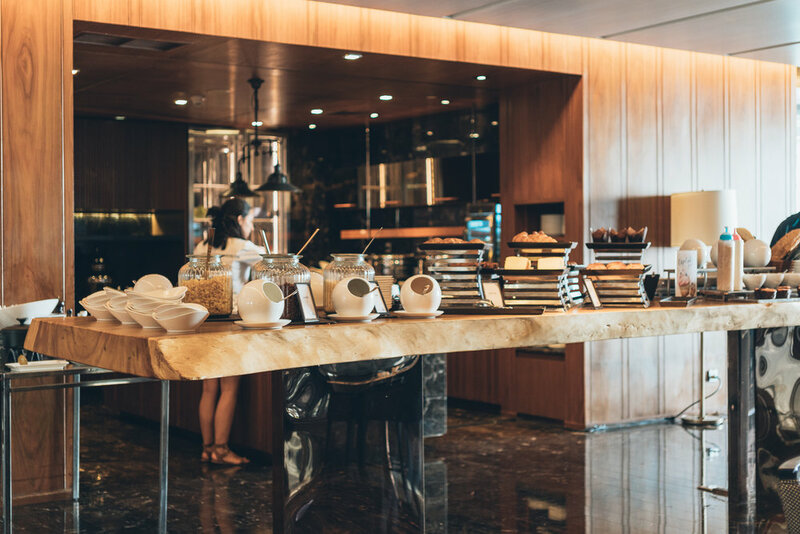 It’s a place you visit to experience a vastly different culture in all its grittiness and hecticness, eat until you can’t any more, and to meet people and travelers from all over the world. In any case, you’ll either hate it or you’ll love it, but it certainly won’t leave you feeling indifferent.